When it comes to planning for the future, it is always important to think about dental care after retirement. Dental care is one huge aspect of healthcare everyone should really focus on. As you get older, your body begins to show clear signs of aging, especially your teeth. Problems like infections, injuries, and disorders become common. The worst part is treatment can really impact you financially. That’s the last thing you want to worry about after retirement! After the age of 65, planning for dental care is extremely essential. After all, when your teeth are in good condition, eating food, speaking, and smiling are a pleasure. It improves your overall quality of life! Yes, if you consistently care for your teeth with routine exams and cleanings, you will be able to keep the costs down. Not to mention, you’ll be able to correct any issues early on. But Medicare doesn’t cover preventative dental care, or other common treatments like fillings, cleanings, dental plates, and dentures. You may be asking yourself, “So what does Medicare cover?” If you go to a hospital and receive a complicated dental procedure or any emergency dental care after retirement, treatment will be covered by Medicare Part A. But why do you have to wait until it’s an emergency? How is anyone supposed to receive normal dental care without it costing thousands of dollars? Not treating dental issues after retirement can cause problems that affect you in ways you never thought it could. According to the Washington Dental Service Foundation, individuals that have gum disease are more likely to experience a stroke or pneumonia. They even discovered that gum disease can link to an increased risk of heart disease. That’s not all. The National Association of Dental Plans shares how poor dental care can lead to diabetes complications, playing a factor in the development of Type 2 diabetes. We want to be as healthy as possible in our golden years, not cause further complications! What Do You Need To Do To Prepare For Dental Care After Retirement? So what are some ways you can plan for dental care after retirement, that will save you from spending a ton of money, wasting time, and keep you safe from gum disease and other issues? Here’s how to do it, the smart way! First, you have to be aware of how vital it is to buy a Medicare Advantage Plan that includes dental coverage. With this plan, not only can you get coverage for dental care, but also vision care, prescription drugs, assisted living and nursing home care. You can purchase Advantage Plans from private insurance companies, with monthly premiums and copays varying depending on the specific plan you choose. It is important to also choose the right dental insurance plan when thinking about dental care after retirement. You want to pick a plan from a national insurance company. Don’t worry, there are hundreds to choose from! There is also AARP as well as other associations and member organizations that offer dental plans. These organizations give members special discounts that can really save you a lot of money! You can also choose a consumer discounter program for an annual fee of less than $200. What do you get with these programs? According to the Consumer Health Alliance, members save about 50% for both routine and advanced dental care from participating dentists. The costs of a typical dental crown averages to about $780 for a patient who isn’t part of a program. Members get a discount for nearly half off, paying about $480. If you’re a self-pay patient, you’ll also spend about $80 dollars just for a routine checkup alone. But not members! Members pay an average of $25 dollars. So why not join the program? Make dental care after retirement pain-free! It is also highly recommended for people to talk with dentists and other specialists about fees. It’s encouraged to first call dentists near you, receive pricing information and go over your options. At this point, you can begin to negotiate. I know what you are thinking, “negotiate with my dentist?” But negotiations are important because depending on the treatment, practice, and zip code, fees vary completely. You want the best service with the lowest price possible, don’t you? You can get your total fee lowered or finance longer and more complicated services, instead of paying it all at once! Now that’s planning for dental care after retirement the smart way. 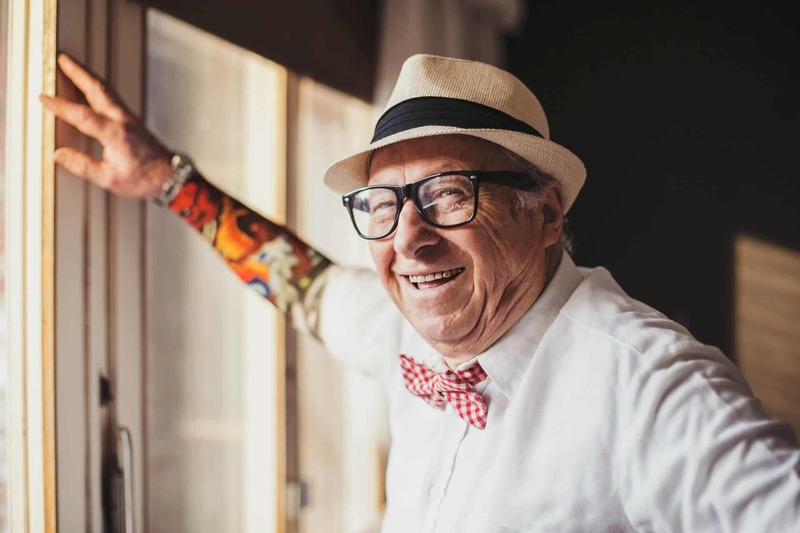 If you, or anyone you know, is planning for dental care after retirement, you want to make sure you have the right team that is there for you every step of the way. We can help you plan for the future so you can save money, stay healthy, and most importantly, keep smiling! Talk to someone today by clicking here.